A bookmarklet to create a front-end performance heatmap of resources loaded in the browser using the Resource Timing API. 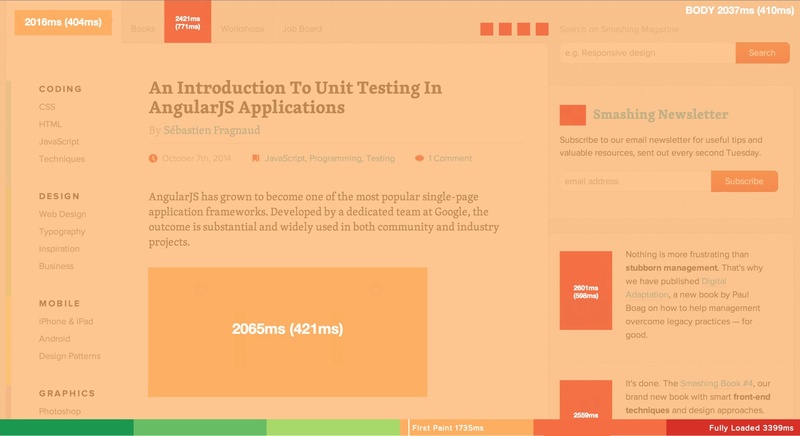 Wait for a page to fully load and then click the bookmarklet to overlay a performance heatmap. A browser with support for the Resource Timing API is required.